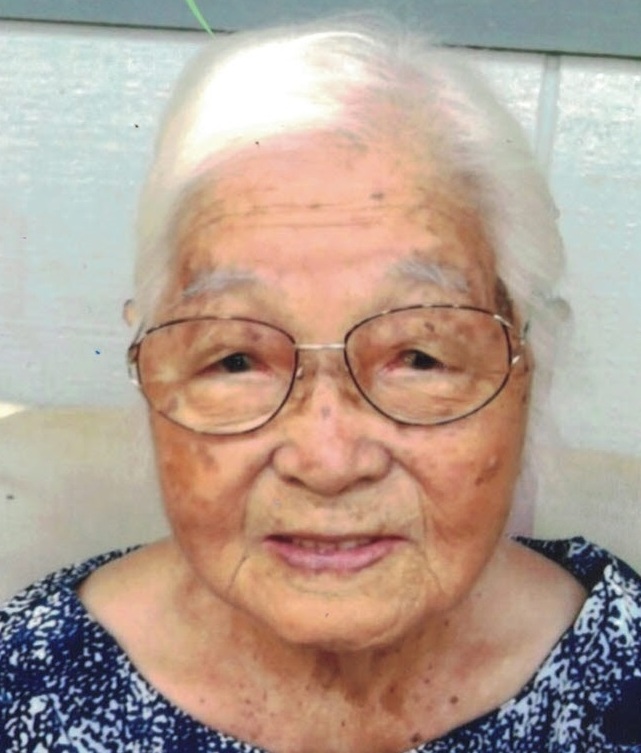 Of Wailua Houselots, Kauai, passed away Saturday, November 11, 2017, at the age of 103 years old. She was the oldest of 11 children. She attended Eleele Elementary School and was owner of Ma's Family Restaurant, with her husband Masao Honjo, for over 40 years before closing her business January of 2007 at the age of 92 years old. Since then, her daughter Amy has been her caregiver. She was predeceased by her father Kiyoshi Mori and mother Hazue Kawaguchi Mori and husband of 36 years, Masao Honjo. Grandma Honjo or just "Ma" as she liked to be called by her family and customers, is survived by 2 brothers and 3 sisters. She raised 3 children, Amy (Sueharu-deceased) Umakoshi, Herbert (Fay-deceased) Honjo and Harriet (Tsutao) Morioka. She has 11 grandchildren, 22 great-grandchildren, 1 great great-grandson. Derek (Rebekah) Umakoshi, sons, Alex and Ian. Wesley (Sandra) Umakoshi and daughter Kristin. Terry (Kent) Ogomori and sons, Kelsey and Korey. Alan (Shanna) Umakoshi and daughter, Alanna. Mike (Sheri) Umakoshi and their daughters Rylee, Lara and Sachi. Tammie (Russell) Uyeda and their daughters, Courtney, Lyndsey and Sydney, Mitzi (Wade) Yamamoto and their daughters Tobi Sibolboro and Tirah Yamamoto, Paige (Cleve) Javier and their children Drake and Grace, Naomi (Darren) Wakano and their children Dylan and Lacey, Mae (Darin) Asato and their children Brandon and Kaitlyn, and Danny (Julie) Morioka and their daughters Kylie and Sarah. She is also survived by her great great-grandson, Reegan Sibolboro. The family would like to thank the staff and management of Hale Kupuna Heritage Home and especially Dr. Liliane Kheng who was Ma's physician at Kuhio Medical Center and the staff of Kuhio Medical Center and Dr. Yee of Honolulu for the short time Ma was at Hale Kupuna. Ma died of natural causes and is beginning her new "GYO" in the spiritual world. We love you always. Prayer services will be held at Tensho-Kotai-Jingu Kyo on November 18, 2017 at 1 p.m. Family requests no flowers or monetary gifts. Kauai Memorial Gardens & Funeral Home assisted the family with arrangements.